Jimmy Heath, an NEA Jazz Master and ASCAP’s 2011 Jazz Hall of Fame Living Legend inductee, is widely recognized as one of the greats in jazz. He has long been recognized as a brilliant saxophonist and a magnificent composer, arranger and educator. The middle brother of the legendary Heath Brothers (bassist Percy, of The Modern Jazz Quartet and highly renowned drummer, Albert “Tootie”), he has performed with nearly all of the jazz greats of the last 60 years, from Howard McGhee, Dizzy Gillespie, Clifford Brown, Dinah Washington and Miles Davis to Wynton Marsalis. True Blue Jazz is ecstatic to present Jimmy Heath and his Big Band for two shows on October 15th as part of this year’s True Blue Jazz series. The legendary Jazz Master kicked off his 90th birthday celebration tour at the Blue Note in New York City in March. True Blue Jazz founders Eddie Sherman and Peggy Raley attended the sold out performance, thrilled to be in the presence of this musical icon. Like the rest of the standing-room-only crowd, we were rewarded with an electrifying performance by both the bandleader and the band. Heath’s career got off to any early start – in 1943 at the age of 17 he started touring with the Calvin Todd band. In 1948, he performed in the First International Jazz Festival in Paris with McGhee, sharing the stage with Coleman Hawkins, Slam Stewart, and Erroll Garner. One of his earliest big bands as bandleader (1947-1948) in Philadelphia included John Coltrane, Benny Golson, Specs Wright, Cal Massey, Johnny Coles, Ray Bryant and Nelson Boyd. Charlie Parker and Max Roach even sat in on one occasion. During his career, Heath has performed on more than 100 albums, including seven with the Heath Brothers and 12 as leader. He has also written more than 125 compositions, many of which have become jazz standards and have been recorded by other jazz artists, including Art Farmer, Cannonball Adderley, Clark Terry, Chet Baker, Miles Davis, James Moody, Milt Jackson, Ahmad Jamal, Ray Charles, Dizzy Gillespie, J.J. Johnson and Dexter Gordon. Heath has also composed extended works including seven suites, two string quartets and a symphony. Renowned for his work as a Professor of Music at the Aaron Copland School of Music at Queens College, Heath maintains an extensive performance and teaching schedule and continues to conduct workshops and clinics throughout the United States, Europe, and Canada. He has also taught jazz studies at Jazzmobile, Houstonic College, City College of New York, and the New School. Jimmy Heath turns 90 on October 25, 2016. True Blue Jazz has the distinct honor to celebrate this birthday with him before he goes on to gala celebrations at both Lincoln Center in New York City and The Kennedy Center in Washington, D.C. at the end of the month. This will the first time many people in the Cape region get to see and hear Mr. Heath, but it won’t be the first time he has played here. He played Rosedale Beach in Oak Orchard, Delaware in 1943 and again in 1947. Known as the place, “Where the stars came to play” it was a watershed location during segregation that hosted everyone from Duke Ellington and Count Basie to Aretha Franklin and Stevie Wonder. For over 60 years, the legendary Heath Brothers have been synonymous with great jazz. Although Percy passed away in 2005, Jimmy and Tootie have pressed on, continuing to make great music. The Heath Brothers will perform this summer at the Newport Jazz Festival. They are the last of the truly innovating, fabulous musicians of the twentieth century. True Blue Jazz invites you to come witness living history and experience music on a level rarely seen in this day and age. 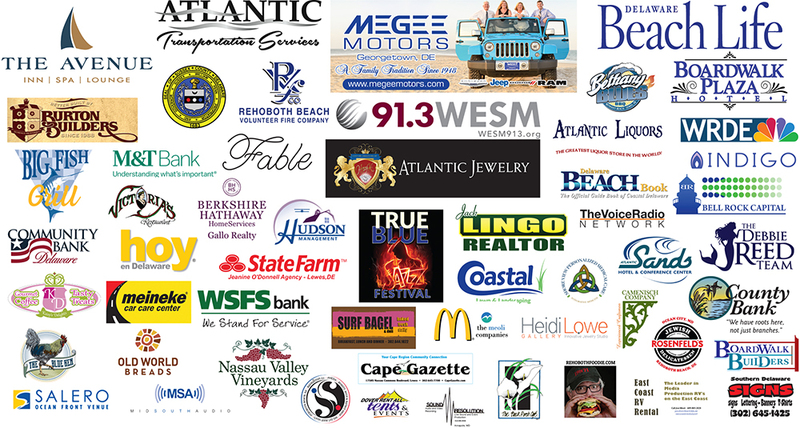 Our True Blue Jazz Series runs from Oct. 12th through Oct. 16th in downtown Rehoboth Beach. 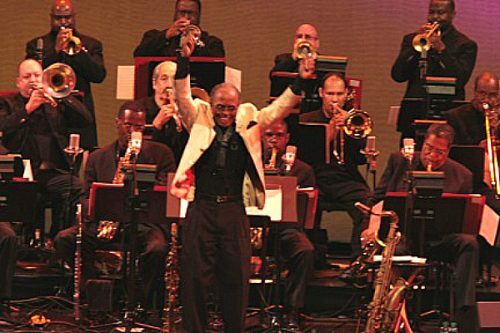 Jimmy Heath and his Big Band will perform on Saturday Oct. 15th at Clear Space Theatre with two shows at 7:30pm and 9:30pm.